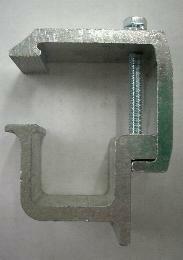 This is our clamp of choice on most applications. 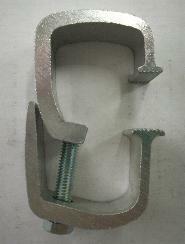 It can be used with the 3TL150 or 3TL250 to complete the installation on Ford Trucks (2 clamps for the rear). 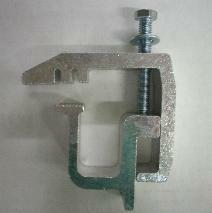 Description: Tite Lok Clamp #3TL150 - Designed for 1997-2003 Ford F150's on Toppers with Aluminum Rails - Gives the needed Reach to clamp the front of the topper. 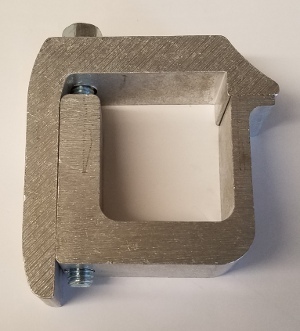 (picture of actual item) Description: Tite Lok Clamp #3TL250 - Designed for 1999 - Current Ford F250/350 Super Duty & 2004 - Current Ford F150's on Toppers with Aluminum Rails (aluminum toppers) - Gives the needed Reach to clamp the front of the topper. Description: Great Creation Tonneau Cover Clamp with work on ARE, Glasstite and other tonneau covers. Hooks into the track of the rail and clamps under the truck bed rail. Can be used in place of the plastic ARE clamps. 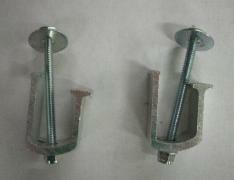 Description: These clamps work on tonneau covers with aluminum rails that have a track for the clamp to install in. 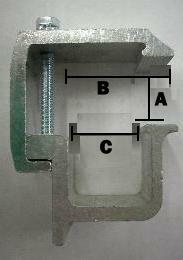 This clamp usually mounts to the front or the center of the rail. Mounts to Leer TSC600, Some LoRider, and other tonneau covers. 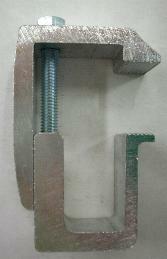 Description: These clamps work on tonneau covers with aluminum rails that have a track for the clamp to install in. 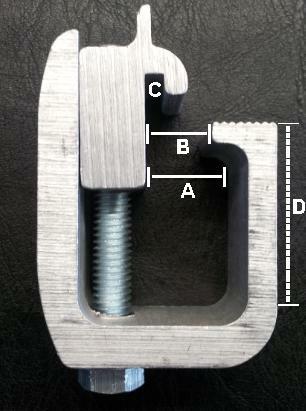 This clamp usually mounts to the rear of the rail. 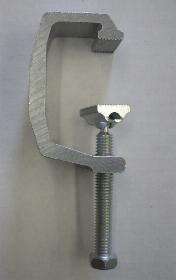 Description: These clamps work on Leer truck caps with fiberglass rails or on tool boxes. They slide in the track of the Toyota Tundra or Tacoma for easy installation. 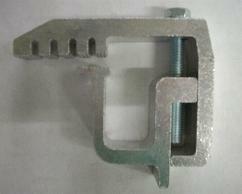 Description: Tite Lok Clamp - For tonneau covers with rails that mount flush to the inside of the truck bed rail. Will work on most Leer 550 and 700 tonneau covers and some soft roll up tonneau covers like the Access Cover and Truxedo Lo Profile.